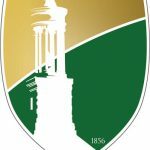 Wilberforce University, Ohio, is seeking to fill a Graduate & Adult Education Recruiter position within the College of Graduate, Adult and Continuing Education. Wilberforce University is a small, AME affiliated, Liberal Arts Institution that seeks to hire individuals who will embrace our mission and core values, work collaboratively, and commit to fostering our students’ success in their personal, professional, and spiritual lives. The recruiter will secure and help grow student enrollment for designated academic programs – the Graduate Program in Rehabilitation Counseling, and the Undergraduate Adult Education Program – CLIMB. The recruiter will serve as a representative of Wilberforce University to prospective students interested in on campus, online and hybrid modes of education. The recruiter is a front line sales and customer service representative responsible for prospecting and responding to new and existing inquiries via phone, email, chat, LinkedIn and any other form of professional or social media communication deemed necessary. The recruiter will report to the Director of CLIMB and the Director of the Graduate Program, and will work collaboratively with other relevant areas such as Admissions, Financial Aid, Registrar’s Office, and Academic Affairs to facilitate and achieve operational efficiencies, and to avoid bottlenecks. * Responsible for lead generation as well as recruiting and will serve as the initial formal contact for inquiries coming into the university for CLIMB and the Graduate Program. The primary focus will be to sell online and/or on ground degree programs. * Responsible for generating and converting inquiries to completed applications and for establishing and maintaining relationships with prospective students to help meet enrollment and customer satisfaction goals. * Responsible for daily prospect pool ranking, management, and maintenance through daily prospecting/telemarketing efforts to meet required contact expectations. * Schedules, plans, and attends information meetings, registration meetings, and/or workshops to recruit and provide information to prospective students. * Works with the Graduate Coordinator and the CLIMB Staff to facilitate the development of students’ schedules, and their onboarding. * Schedules, and staff’s recruitment activities including but not limited to education fairs, military recruitment, corporate visits, visits to hospitals and health care facilities, area rehabilitation and social service agencies, and other activities in support of established enrollment goals for both CLIMB and the Graduate Program in Rehabilitation Services. * Assist in educating the Dayton, Ohio and the larger community about Wilberforce University’s degree offerings in support of university outcomes and strategic marketing initiatives. * Assists walk-in students with program selection and program questions. Partners with staff and administration in the CLIMB and Graduate Programs and related university offices such as Admissions, Financial Aid, Bursar, and Registrar, to make sure students are seamlessly packaged and enrolled. * Make recommendations to the university marketing plan to recruit prospective students, utilizing a variety of media. Prepare and distribute mailings and emails for recruiting purposes. Collaborate with management, marketing, and recruiting staff on various projects supporting the sales and marketing of the University program portfolio. * Serve on university committees and attend departmental meetings. Attend training sessions required by the employer(s) to adequately perform. * A bachelor’s degree in marketing, communications, business management, rehabilitation counseling/services, health services, or related field, from an accredited institution of higher education is required. * Sound understanding of recruitment and admissions activities, knowledge of the adult education and graduate education (Rehabilitation Services) market, knowledge of financial aid practices. * Excellent communication, interpersonal and sales skills, ability to multitask, problem-solve, prioritize and meet deadlines and enrollment goals in a fast-paced team-oriented university environment. Full-time salaried position. Additional evening and/or weekend hours may be required, as needed. Travel to other locations to assist with recruitment, as needed. Founded in 1856, Wilberforce University is America’s first private, coeducational University established to educated men and women of African descent; and is closely affiliated with the African Methodist Episcopal Church. Today, Wilberforce is a well-respected private, residential liberal arts university with a clear mission, core values and vision for the future and is a noted pioneer in the Co-Operative Education Movement. Wilberforce awards the Bachelor of Arts and Bachelor of Science degrees in the areas of business, engineering and computing science, humanities, natural sciences, and social sciences; as well as the Master of Rehabilitation Counseling degree. The University is located in Wilberforce, Ohio, a community readily accessible to the Dayton, Cincinnati and Columbus metropolitan centers’ social, professional and cultural amenities and airports. To apply for the Recruiter for College of Graduate, Adult and Continuing Education position, use the “Quick Apply/Submit Resume” button below to submit your information, cover letter and resume to the Wilberforce University Department of Administration and Human Resources.